This past Election Day, Americans across the country adopted democracy reforms through ballot initiatives to empower citizens and constrain the power of wealthy special interests in government. Democracy and government reforms in 12 states provide one of the few progressive victories of the 2016 elections. Voters passed numerous ballot resolutions with stunning majority support: Some resolutions passed with 91 percent voter approval.1 People adopted solutions on a variety of issues, including overturning Citizens United v. Federal Election Commission; public financing for citizen-owned elections; lobbying reform, ethics, and disclosure; as well as independent redistricting and automatic voter registration. Citizens are not waiting for their elected leadership to take action on these questions but are instead moving forward with adopting policy solutions to bring about a government that is responsive and accountable to its people. Elected leaders at the local, state, and national levels must pay attention to these demands for democracy solutions and respond with real legislative reforms to revitalize the nation’s democracy and rebalance the interests in government so that government works for the people. Americans across the political spectrum are calling for change in the policies that shape U.S. elections, democracy, and government. This year, majorities of voters voted for a number of solutions, though a few proposals were also defeated. Voters in Alaska passed Ballot Measure 1, which will increase the number of registered voters in the state by automatically registering eligible Alaskans to vote. The state will use eligibility information that Alaskans provide when applying for their Permanent Fund Dividends—a dividend paid out to any Alaska resident that has lived within the state for a full calendar year and intends to remain in Alaska indefinitely.3 The initiative was approved by 63 percent of voters. This will simplify and modernize the voter registration process and transform registration from a barrier into a gateway for Alaskan residents to participate and have their voices heard on Election Day. In San Francisco, a stunning 87 percent of voters approved Proposition T, which bans lobbyists from giving unlimited travel gifts—or money designated for travel—to elected officials and places limits on lobbyists’ campaign contributions.12 It also bans lobbyists from contributing directly to politicians’ campaigns and prevents them from acting as so-called bundlers—individuals who collect campaign contributions for a particular candidate’s campaign.13 This will help limit the influence of corporate and wealthy special interests in San Francisco’s local elections and increase fair representation. Voters made their frustration with the current U.S. political and electoral system clear on Election Day in more ways than one. The overwhelming support that many of these ballot initiatives received demonstrates that democracy reform is not only what Americans want but also what they demand. 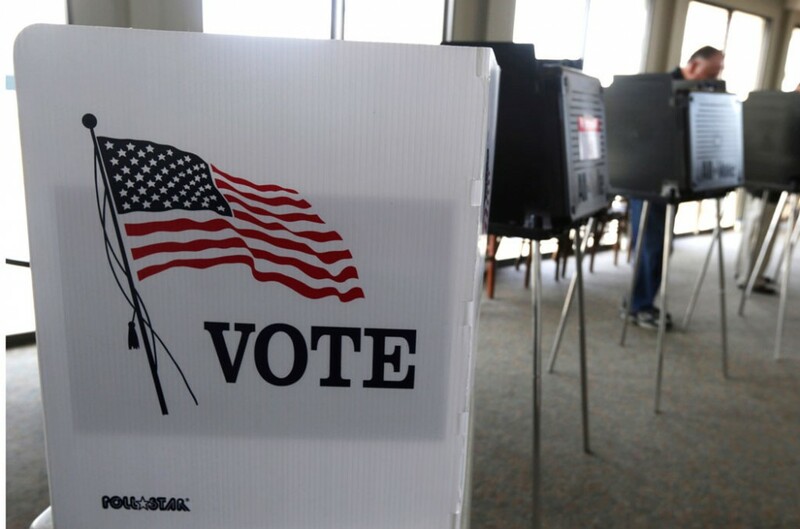 In states where these reform measures passed, government officials should go further by enacting measures to supplement and strengthen the ballot resolutions. Other states should follow suit by passing their own democracy reform measures that support citizen ownership of government and limit the power of wealthy special interests in government. Americans are fed up with the way money and special interests dominate the electoral system. Elected officials should recognize that voters are demanding major changes in these areas, and they should actively support democracy and government reforms in the years to come.